The Reserve Bank of India (RBI) has simplified the rules for credit to exporters. They can now get long-term advance from banks for up to 10 years to service their contracts, easing the previous norms that only allowed on loans above one year. Banks can make such payments to exporters with a satisfactory record of three years and adjust these payments against future exports. “This measure will help exporters get into long-term contracts. It will help the overall export performance and help the rupee in the short to medium term,” said N S Venkatesh, executive director and head of treasury at IDBI Bank. "This move will help boost our exports,” said Rupa Rege Nitsure, chief economist, Bank of Baroda. 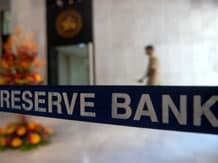 RBI also said banks cannot charge interest rates exceeding 200 basis points above the London Interbank Offer Rate. Banks should ensure compliance with anti-money laundering norms and know your customer guidelines. According to RBI such export advances shall not be permitted to be used to liquidate rupee loans. Double financing for working capital and execution of export orders should be avoided. Also exporters who receive loans of $100 million or above need to report the transaction immediately to RBI.